Amid the increasingly acute competition of the PV power energy market, bifacial PV modules and solar-tracking systems have prevailed over traditional fixed PV system with single-sided modules, thanks to their much higher efficiency. 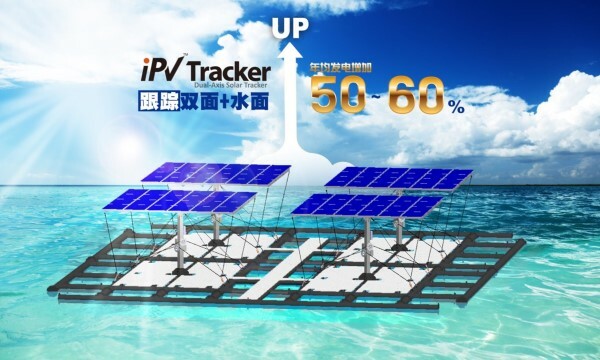 iPV Tracker, a smart dual-axis solar-tracking system developed by BIG SUN Group from Taiwan, for instance, has forayed into the Japanese market, thanks to its top-of-the-line performance in terms of stability and high efficiency in power generation. BIG SUN has been ready to license its technology worldwide, in the hopes of making it a global standard. Summer Luo, chairman of BIG SUN, points to the high reception to the solar-tracking system in the U.S. market, stressing that the dual-axis system is more reliable than single-axis system and can endure weather changes, as evidenced by its intactness experiencing the impact of typhoon in Taiwan. Luo notes that the company's iPV Tracker performs best in Japan, where it boasts the highest share in the market of solar-tracking systems. During PV EXPO 2018 in Japan, some 100 buyers visited the company's booth, mainly for iPV Tracker. 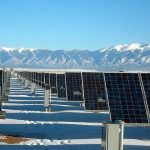 He attributes the stellar performance to its ability to maintain normal function during extreme weather, notably snowy days, when traditional fixed-type PV system would witness its power-generation efficiency plunging by 90%, due to coverage of the solar panels by accumulated snow. 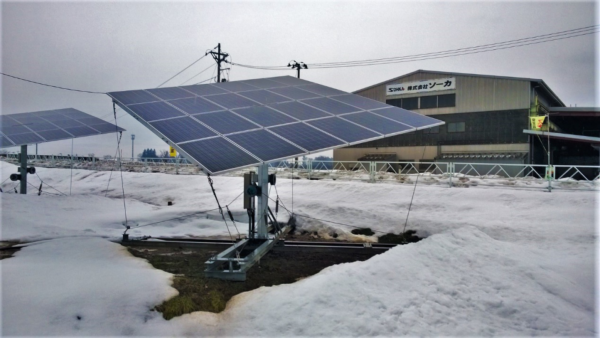 By comparison, iPV Tracker can flexibly manipulate the angle of solar panels, shaking off accumulated snow via slanting or turning, thereby saving the high expense for removing snow manually. It can be furnished with iPVita smart energy-management device, enabling remote monitoring, via cloud-end, of its operation, including power output and slanting angle of solar panel, plus remote control and adjustment in dealing with any problem. Luo explains that the reverse side of bifacial PV module can absorb reflective light from snow-covered land, adding that the efficiency will be even higher after being coupled with iPV Tracker. The reverse side of iPV Tracker is frameless, which avoids shading the reverse side of bifacial module entirely, enabling stable power generation even in wintertime in countries like Japan and Korea, making it a leading design in the field. Thanks to its success in Japan, the product caused quite a stir during SNEC show in Shanghai last year. 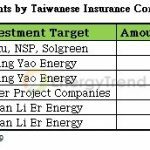 The experience in Taiwan shows investment returns of the solar-tracking system doubles that of fixed-type system. Coupled with the solar-tracking system, a single-sided module can generate 4.5 kilowatts/hour of power a day, compared with 3.5 kilowatts/hour in the case of fixed-type system. A 1 MW single-sided PV power station would incur 10% extra cost for adoption of the solar-tracking system, compared with fixed-type system, but would reap two times of after-tax profits in 20 years, or even three times of profits, in the case of bifacial PV modules. BIG SUN will display iPV Tracker at SNEC 2018 in Shanghai again this May, highlighting its five features "reliability, stability, safety, environment friendliness, and energy conservation." Luo is upbeat on the prospects of the product in the Chinese market, revealing a Chinese firm among the world's top five has used the product on a testing basis. BIG SUN has developed a number of construction methods for application of the system in water, including inserting cement pillars of the base into water bottom directly or installing the device on floats, a design which not only features simple construction but also higher power-generation efficiency, thanks to strong reflective light from water surface. Luo even plans to introduce MW-grade power storage system to complement the dual axis system and high efficiency bifacial modules, in order to materialize the vision of 24 hour power supply. To cope with the trend of rising trade protectionism and tariffs, says Luo, BIG SUN has decided to license iPV Tracker technology, enabling overseas customers to design and construct iPV Tracker themselves according to local market conditions, and lower installation cost by procuring local materials, such as those for steel frames. The policy represents a major step in the globalization of the company's operation. "Taiwanese firms are highly resilient in breaking the constraint of the limited domestic market and expanding overseas," remarks Luo.